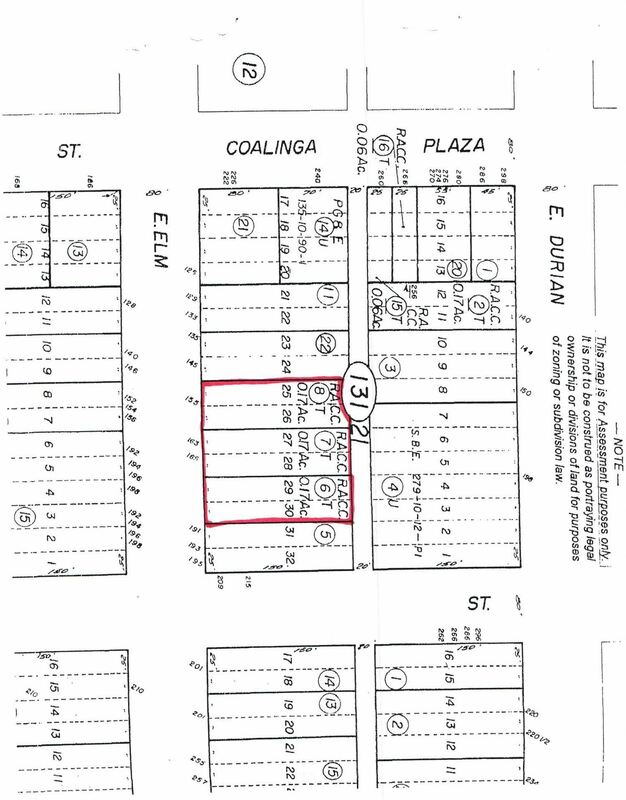 Vacant lots located in between Coalinga Plaza and 4th St. There are three APN's included in the sale: 072-131-06 (163 E. Elm Ave.), 071-131-07 (165 E. Elm Ave.), & 071-131-08 (155 E. Elm Ave.). All lots are 7405 sq.ft. each for a total of 22,215 sq.ft. Zoned commercial. Located on Elm Ave. between Coalinga Plaza and 4th St.